Videos show Nashville Officer Andrew Delke chasing and shooting 25-year-old Daniel Hambrick on July 26. 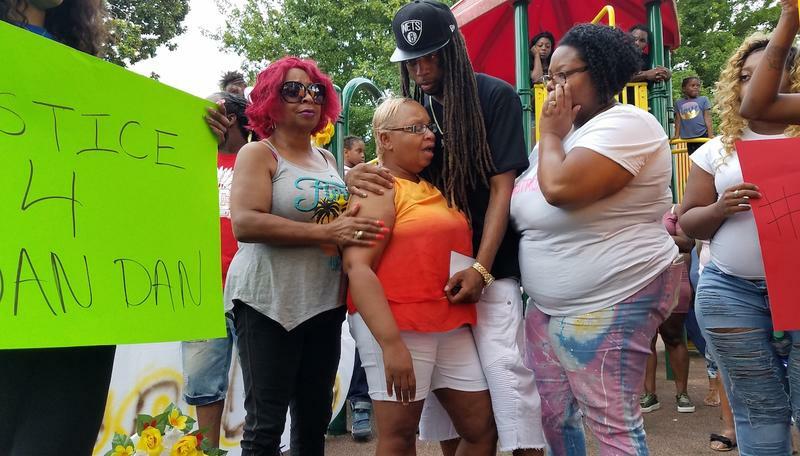 Nashville authorities released new surveillance video footage Wednesday that shows a fatal shooting by a city police officer on July 26. The lawyer representing the victim's family, after seeing the videos for the first time, told WPLN that they want the officer to be fired. Meanwhile, Nashville's mayor is urging patience as the investigation unfolds. The footage from cameras at a public housing complex and from a nearby high school shows Officer Andrew Delke chasing 25-year-old Daniel Hambrick across several residential lawns before shooting him from behind. The videos also show that Hambrick had a dark object in his hand as he was being chased. But the videos don't answer conclusively whether Hambrick was carrying a gun, as police have claimed. They also don't explain why the pursuit began or what prompted Delke to open fire. Nashville Mayor David Briley says the videos shed some light on what he calls a “tragic” event. Briley said an investigation by the Tennessee Bureau of Investigation is ongoing in conjunction with the district attorney's office and that no conclusion has been reached about the officer’s actions. Although the footage doesn't answer fundamental questions, such as why Hambrick fled or why Delke decided to shoot him, it does clarify the timeline of what happened on that night. According to footage, the incident began shortly after 7 p.m. in a parking lot inside the John Henry Hale housing complex. Videos from MDHA cameras trained on the parking lot show Hambrick arriving with two friends in a white sedan, parking and walking toward an apartment. Delke pulls up about 15 seconds later in a silver car that does not appear to be marked. Hambrick immediately sprints away from him and runs outside the complex toward Jo Johnston Avenue. Delke chases after him. Another MDHA camera captures the scene outside John Henry Hale. Hambrick can be seen carrying a dark-colored object, though the footage is grainy. Delke comes into the frame three seconds later, his gun drawn. Yet another camera at the nearby MLK magnet school shows that the moment Hambrick was shot happens no more than nine seconds after that. Delke stops and aims; Hambrick collapses in a heap near the corner of Jo Johnston and 17th Avenue North. Delke then takes cover in the entryway of an apartment. No one approaches Hambrick's body for two more minutes. That's when another officer arrives on the scene and walks up to Hambrick. Delke emerges from his position. The first responder from the Nashville Fire Department arrives about 4 1/2 minutes after the shooting. EMTs then spend about three minutes working around Hambrick before loading him onto a stretcher. Watch an excerpt of the video showing some of the critical moments. The videos were shown to Hambrick's family for the first time shortly before they were released publicly. Joy Kimbrough, the family's attorney, accompanied them to the District Attorney's office. The attorney says the family is demanding that Delke, the officer who shot Hambrick, be fired and charged for the fatal shooting. "We just hope that justice prevails and that there is justice for Daniel. And we are not going to rest until we get it," Kimbrough said. In response to prior descriptions by law enforcement, Kimbrough said Hambrick was not in a stolen car prior to the foot chase. Adding that the car belonged to friend of the family's, who also attended the meeting in the District Attorney’s office to view the footage. The TBI has said that officers were looking for stolen cars on the night of the shooting and had seen Hambrick’s vehicle driving erratically. Meanwhile, the mayor says he will lead a “comprehensive review” of Nashville's policing techniques and culture — including de-escalation tactics and department transparency and accountability. He noted that such measures are typically taken after an incident, which he says is too late. “I believe it is even more important for us, on the front end, to do more with strategies to guide how we police so that we less often need to do anything on the back end,” Briley said. The mayor also said he’d like to see officers minimize their use of weapons. Briley's review will be conducted with The Policing Project, a national organization that tries to strengthen community relations with police. “It’s clear that on July 26, our community had made decisions that forced an officer to make a very quick decision, and those quick decisions resulted in the loss of life that you see on that video,” Briley said. Late Wednesday, the head of the Nashville Fraternal Order of Police appeared in front of reporters to read a statement, questioning the release of video footage prior to the completion of the TBI's investigation into the shooting. "We would have preferred that the entire investigation of this case be released at one time rather than in a piecemeal manner and with an explanation and full presentation of the facts," president James Smallwood said. "To release it without any narrative or context causes confusion in the community, the potential for further division between law enforcement and the people we serve, and invites people to draw their own conclusions of the incident without the relevant facts." Metro Police say that officers "rendered aid" to Daniel Hambrick after he was fatally shot last week. But a spokesman says police did not provide any medical help themselves. 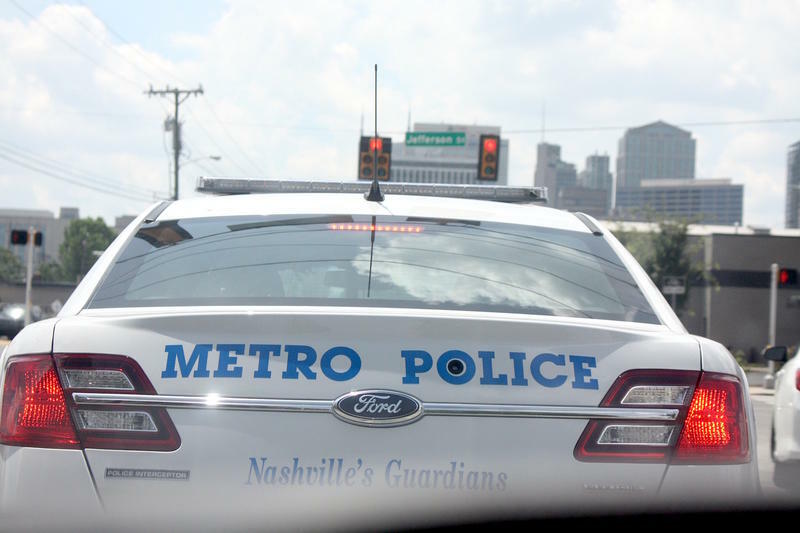 This post has been updated to include additonal information about the Nashville Police Department's Juvenile Crime Task Force. Amid the investigation into last week's shooting in North Nashville, a picture has begun to emerge of the man who died and the police officer who killed him. The exact circumstances behind the death of 25-year-old Dan Hambrick on Thursday evening are still unclear. But investigators say it was another 25-year-old, Officer Andrew Delke, who fired the fatal shot. 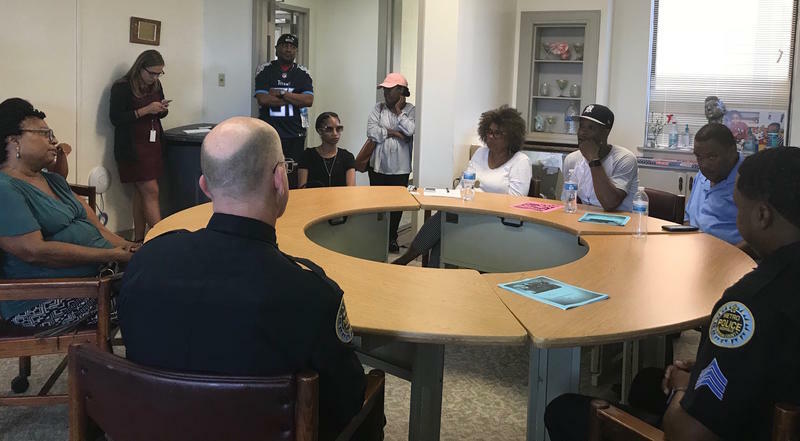 Less than 24 hours after a black man was fatally shot by a Metro Police officer in North Nashville, community members, police and city officials gathered to discuss the incident. But the police had little to say. That's because they are not the ones in charge of investigating this shooting; the Tennessee Bureau of Investigation is.